The feeling we get when we discover a new shopping site reminds us of how we felt on our birthdays when we were kids: It makes us want to brag about all of our new things to all of our friends. Well, we're more than excited to share our most recent online shopping find: a site called Saul. The online retailer is reminiscent of Reformation in style, but with its own unique twist, of course. Visit the site to shop date-night tops, simple slip dresses, and off-the-shoulder numbers that are too cute to pass up. From the styling down to the pieces themselves, Saul is great at drawing you in and making you fall in love with its special curation of items. It doesn't help that every product is very on trend, making it nearly impossible to pin down just one thing to buy. I guess you'll just have to buy them all. Keep reading to shop our favorite pieces available online at Saul right now! This top has just the right amount of frill. We've never seen an off-the-shoulder dress quite this interesting before. This top can be the star of the show in a variety of outfits if you let it. The slip dress is the dress of the summer, and there's nothing not to love about this one. You probably need it in black as well. This subtle blue color has our heads in the clouds. Style this playsuit with a white tee and sneakers for a cool city-girl vibe. 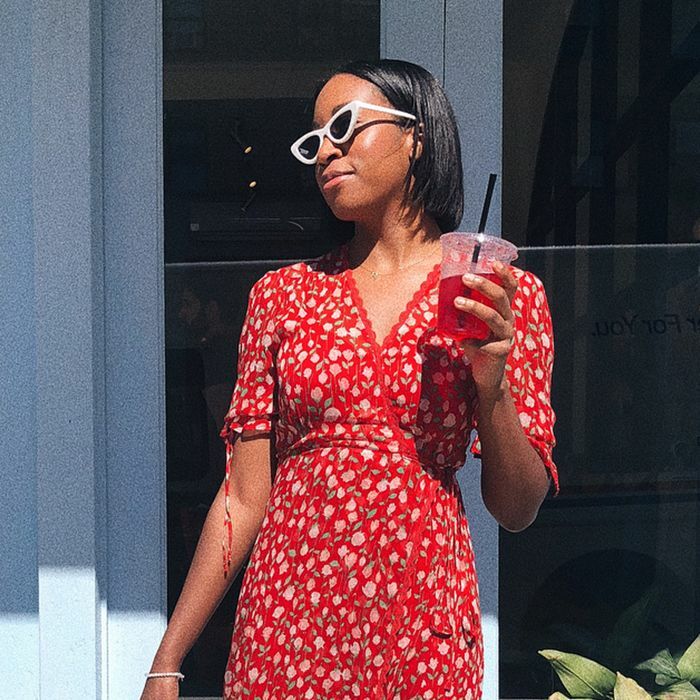 The Forever 21 Dress One Editor Calls "Magic"
Say hello to the top you'll wear all summer long. Tuck this in to a pair of vintage denim for a look that is foolproof. Take the prep out of a pleated skirt by opting for it in all black. Which under-the-radar stores are you loving right now? Let us know in the comments below!